A TRULY UNIQUE AZ WINE COUNTRY EXPERIENCE ! 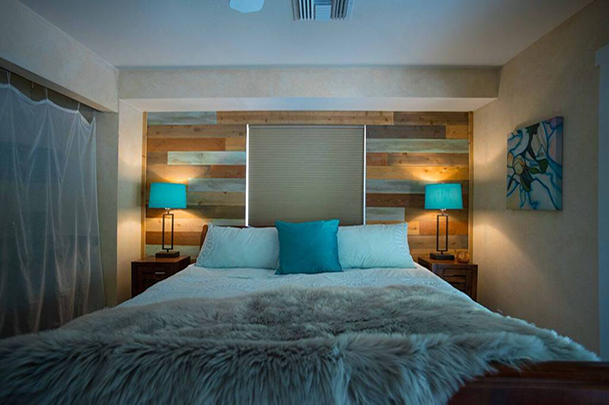 A beautifully rustic chic finished, boutique B&B located deep in its own lush valley right in the middle of the Verde Valley Wine Trail just minutes from all of the award winning Page Springs Wineries! 3 stunning suites, and a restored vintage camper. The Champagne Sunset suite has beautiful finishes, a private entrance via your spacious deck overlooking flower gardens, mature majestic trees and a pasture of sweet alpacas. 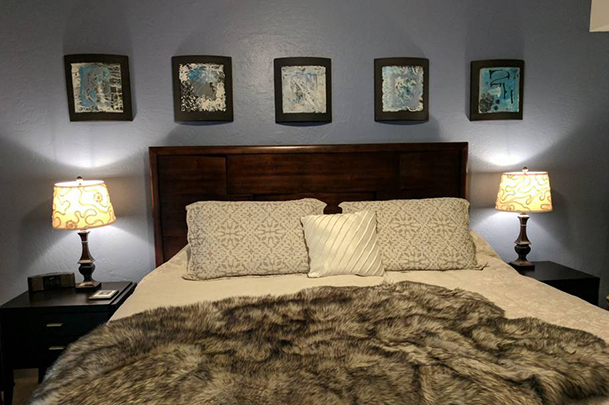 Vintage Blues Suite is a spacious, relaxing room with a new KING bed, fridge, coffee maker, microwave and private full bath. Just outside your room door is your private deck surrounded by flowers and vines overlooking the tree covered hillside. 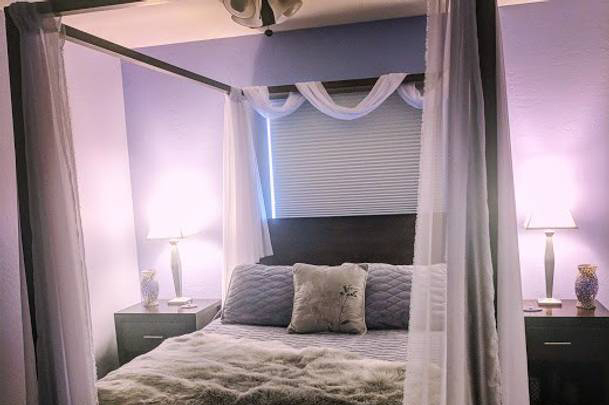 For parties of 2-4 the Lavender Crush room with queen bed, shared bath and the amenities listed above is available for additional charge. Please inquire for price. The Lavender Crush room is a luscious and relaxing space with queen bed, sitting area, fridge, coffee maker, microwave with a shared bath. Right around the corner from Page Springs wineries, Cornville's great eateries and a historic saloon. Peace and quiet in the heart of the Verde Valley. Soooo relaxing! This was our first experience with an Airbnb and it was wonderful. Such a peaceful and serene setting. The Alpaca's were so fun to watch. Butterflies and hummingbirds dancing around all the beautiful flowers was just perfect. Our room was very clean and we enjoyed the private deck off the back. Although we opted for the breakfast and dinner package there was a yummy granola cereal and fruit bowl in the mini fridge with milk and it made for a great late night snack! Jay is a very good cook and provided us with healthy, great tasting meals. I have never been to Cornville so I had no idea that it was so green and beautiful. The accommodation was comfortable uplifting because of the hospitality of Jay Alexandra and Becky. We were welcomed with good food, great wine and awesome music provide by Jay. Very friendly bunch! Be sure to see the llamas and ask for tips on local trails and food. 🙂 the room was very nice and had a great private view. Ray is also a very talented guitarist and singer so be sure to go to his jam sessions if he invites you down! One of the best places I have stayed!! I will come back just for the comfort, hospitality, and wonderful view.